GENTING is forming lower high. Will it forming lower low? 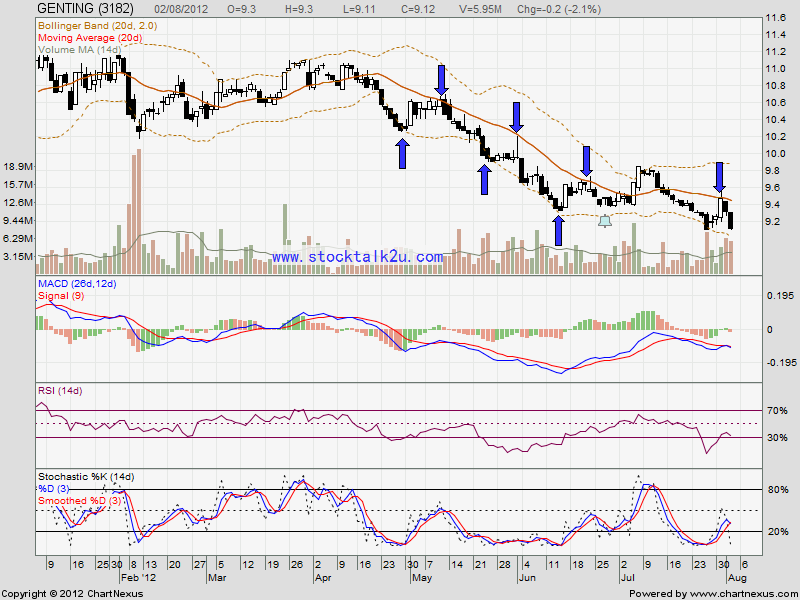 Stochastic %K already trigger SELL call. High probably will go further down. 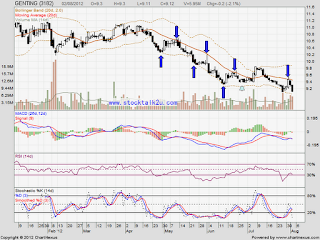 If rebound, MA20 is immediate resistance level.